The Amazon Echo is a wildly popular gadget that acts as a virtual assistant. The Amazon Echo is controlled with the use of Alexa, Amazon’s voice-controlled service. Although anyone can benefit from Echo, the device is particularly useful for individuals with disabilities like visual impairment. All Echo devices use the sound of your voice to control the device. 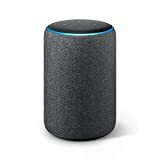 Setup is typically done in minutes and many home devices are compatible with the Echo. Echo also has built-in content for Amazon Prime members such as music playlists, videos and audio books. For the Echo to work, your home needs a good WiFi connection. The visually impaired typically need assistive technology to use computers and tablets to search for content. These tools may include dictation software and screen readers. The Amazon Echo eliminates the need to go through a lengthy process to access information. By simply using the wake word “Alexa” you can get the information you need instantly. For instance, you can ask her to search for local restaurants or give you movie times. She can figure out calculations and give you measurement conversions. For the visually impaired, the Echo allows them instant access to important news and stories across the web. News agencies like NPR have Alexa skills that can be enabled. 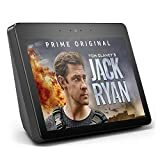 Once enabled, you can simply tell Alexa, “Alexa, play the news from NPR” or “Alexa, give me the sports highlights from ESPN.” Alexa will then dictate the latest content uploaded by the news agencies. Summaries are typically updated hourly so that users will get breaking news stories. Alexa is a hands-free way to make calls for the visually impaired. 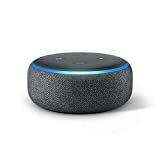 After contacts are added through the Alexa application, you can simply say, “Alexa, call Mary.” An alert will be sent to the contact to let the person know a call is coming through. Another useful feature for the visually impaired is the “drop in” option. Drop in has a dual purpose: it can act as an intercom system if you have multiple Echo devices in the home and also can allow family members to check in without requiring the person to answer a call. One of the most beneficial features of the Amazon Echo for the visually impaired is the ability to control smart home devices. Alarm systems, surveillance cameras, outlets, lights and more can be controlled with Alexa. Being able to lock the front doors and arm a security system with Alexa protects the visually impaired individual from becoming a target of criminals. Interested in monitored home security devices compatible with the Echo? Protect America has affordable and reliable security systems that can be controlled with Alexa. Get a free quote today or call for more information.